Whether you’re religious or not, Lent is a perfect time to cut some things out of your life that you can perhaps live without. But don’t worry – you don’t have to give up chocolate or alcohol! How about scanning your house for items which you no longer want or need, and giving them to Phyllis Tuckwell to sell in their shops? It needn’t take up too much of your time – you don’t need to spend hours clearing out the loft or going through your wardrobe. 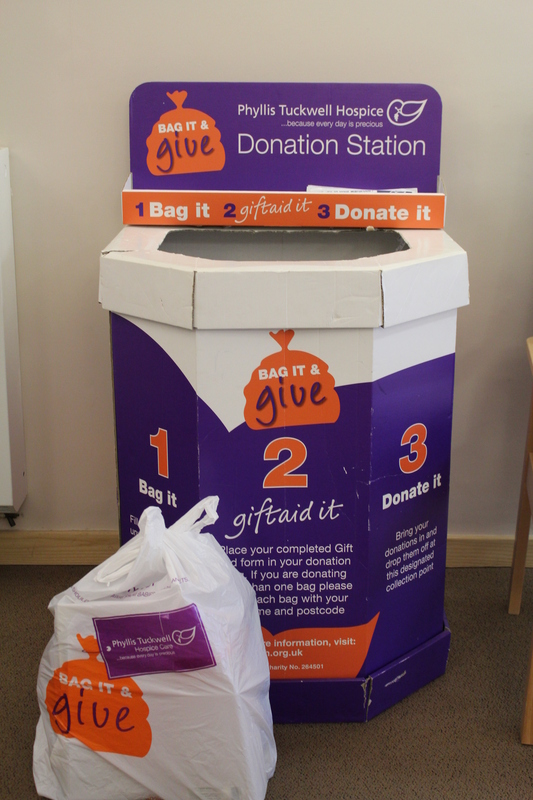 Just pick one item a day from around your house throughout Lent (March 6th – April 18th) and pop it into one of Phyllis Tuckwell’s Bag It & Give bags, which you can get from any of their shops, or use a black bin liner. And after Easter, when you’ve enjoyed your Easter eggs and your long weekend, drop the bag into your local Phyllis Tuckwell shop. The money raised by selling your unwanted items will go towards providing Hospice Care for local people who are living with an advanced or terminal illness, such as cancer.